I like to create my card background on a piece of glossy paper by brushing the colors of my choice directly from my ink pads. At the end all the colors blends into each other smoothly and create this soft look background. Your card is beautiful. The technique for inking the glossy paper for your background is great. Your card is just stunning. I love silhouettes and your idea to use glossy paper is something I'm going to try. 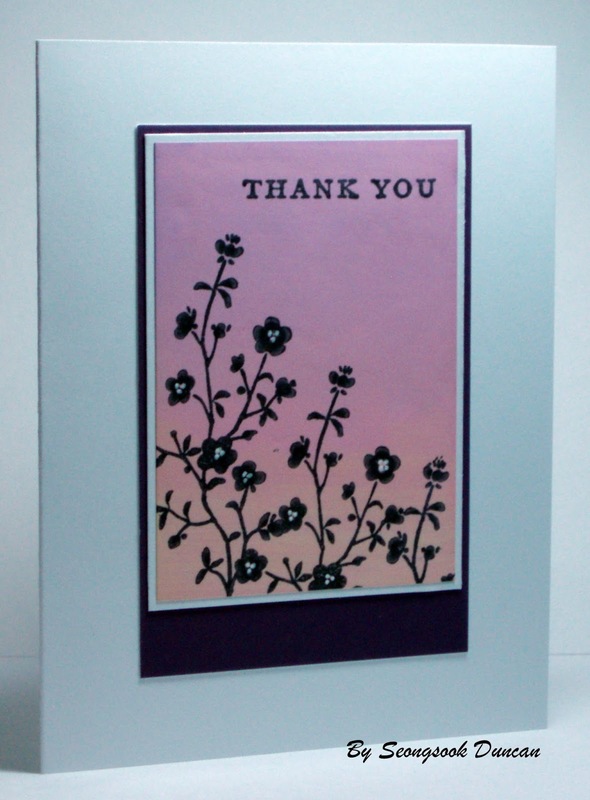 You've created a gorgeous background - perfect behind the silhouetted flowers.